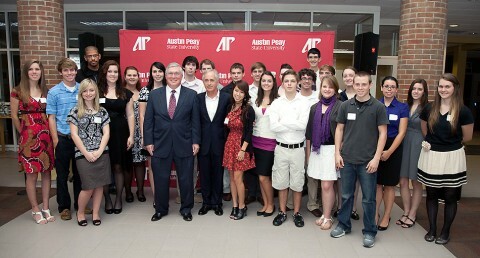 Clarksville, TN – Students in the President’s Emerging Leaders Program (PELP) at Austin Peay State University asked several questions of U.S. Sen. Bob Corker, R-Tennessee, during his visit on campus September 29th, but one in particular perhaps affects young adults the most in today’s times. “What can the students do to get involved?” one student asked. 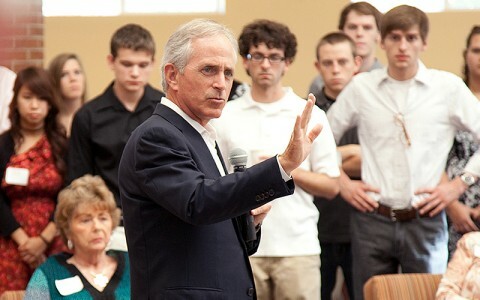 Corker, who served as mayor of Chattanooga before his election to the Senate in 2006, spent more than an hour in Honors Commons on campus to share his perspective on how Washington policies – primarily spending and debt – are affecting the economy and job creation. “I’m concerned about our country. 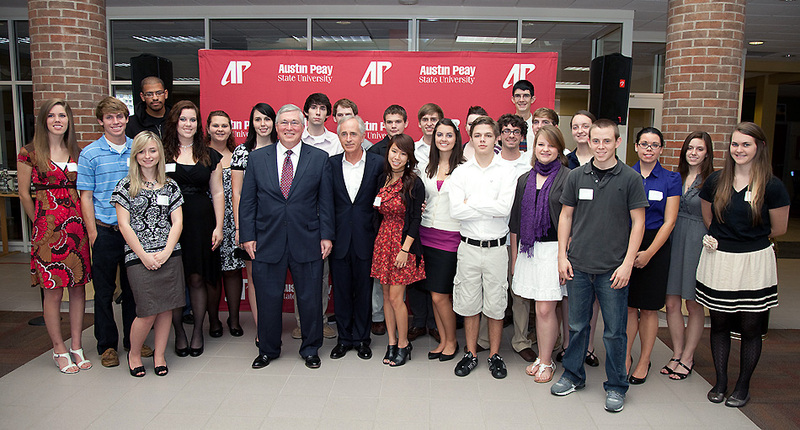 I don’t see us tackling our issues,” Corker told the audience, which also included members of APSU President Tim Hall’s Circle of Advisers, campus leaders and local dignitaries. One of those issues is Medicare. Corker said American families over their working lives put in an average of $109,000 into Medicare; however, they take out an average of $343,000. Corker also discussed bipartisan differences in the Senate, health care legislation and the recent waiver option for schools in No Child Left Behind.